4 Important Reasons to Stop Hiring with Your Gut | SeibCo, LLC. There are four often overlooked and very important reasons why your lack of objectivity when hiring causes stress for everyone. As busy bosses, we often rely on our gut to determine who to hire and why. We falsely believe our intuitive abilities make us foolproof. Yet we are often wrong and our results suffer, clients stray, miscommunication becomes the norm and team conflicts erupt. And, even more sadly, our key employees often leave! All of this is preventable. 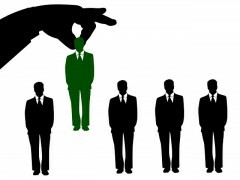 The truth is, objective data will improve hiring decisions! Why Do You Often Ignore Facts? Statistically, 86 percent of the time you’re unable to discern the lies offered by job candidates. You believe candidates when they say they want to work for you. You believe it’s too expensive to incorporate objective data into your decision-making process. Your lack of objectivity will cause stress for everyone. In today’s job market, every employee has other alternatives … they can leave. 2.Employees. They are tired of training new people who leave through a revolving door, and of attempting to clean up messes that could have been prevented. So, instead, they update their resumes and reach out to others in their networks. They leave you still hiring the way you’ve always done … by how you feel. They leave you sitting at your desk, frustrated at losing another good person, wishing there had been more money in the budget to keep them. Hint: The No. 1 reason employees leave today is because of their boss, not their paycheck! 3.Customers. They are also tired of training new hires or employees who transferred into positions they don’t fit. I remember calling a company, needing to have a question answered. After I repeated my request a couple of times, I asked the receptionist what else she was doing. I could hear tapping in the background. Her reply: “I’m multi-tasking and typing up a report for my boss.” Needless to say, I did not feel like a valued customer and didn’t get my question answered. I became another lost customer. 4.Vendors. They can be great allies in helping build your company. However, their job and paycheck are dependent on helping as many customers as they can, not training yet another new person who doesn’t have the interest or willingness to do the job. The wrong employee can also hurt long-time vendor relationships by making uninformed decisions about the products and services and by changing agreements, causing chaos throughout the company and hurting customer relationships. Obtaining objective data is easy. It can also save your own career! Remember, everyone affiliated with your company is depending on you to objectively hire employees based on facts, not on your gut. Jeannette Seibly is celebrating 25 years as a business coach, advisor and consultant. Are you ignoring facts? Are you aware of how much this is costing your company? Are you willing to make simple and effective changes in your hiring process? First, you have to step up! Check out her website , or contact Jeannette for a free confidential conversation.